Data records of cyclones from the 18th, 19th, and early 20th century have to be taken with a grain of salt, as the technology advancements we enjoy now weren’t available then. However, it is interesting to note that in 1908, not one, but two cyclones developed outside of the seasonal timeline; the first occurred from March 6th-9th and impacted the Lesser Antilles with estimated winds of 100mph (161km/h); the second occurred from May 24th to May 31st with estimated winds of 75mph (121km/h), affecting the Outer Banks of North Carolina. The Outer Banks were impacted yet again in May of 1951 when Hurricane Able made landfall as a category 3 with winds of 115mph (185km/h). Hurricane Alice, a category 1 storm, became the first recorded to exist in two different calendar years, when it developed on December 30th, 1954, and dissipated on January 6th, 1955. This has occurred recently, with tropical storm Zeta developing on December 30th, 2005 and dissipating on January 7th, 2006. Going back over the past 50 years, there have been several years that have seen more than one cyclone develop out of season; 1969 (2), 1973 (2), 2003 (3), 2005 (2), 2007 (2), and 2012 (2). Of these years, it is interesting to note that in 2003, tropical cyclones developed both before and after the standard begin/end dates (1 June/30 November). Ana developed in April, and Odette and Peter continued the already lengthened season when they both developed in early December. 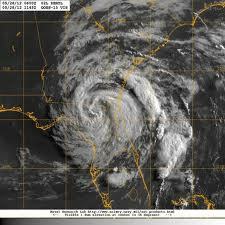 Also of note is that during the 2012 season, both out of season storms occurred in May within a week of each other (Alberto and Beryl), and both did impact the U.S. With the vast amount of satellite data stored at cyclonecenter.org, it is possible that you may classify images of Alberto and/or Beryl. The take-home from all of this is that while the majority of cyclones occur within a 5-month window, cyclones can develop any time of year, which is a good reason to stay aware of what is going on in the tropics all year long.